We are not consultants—unless you really are. We sell solutions that solve very specific problems for customers. When we are prospecting, we are looking for people and organizations that have the problems we solve. We are not interested in helping our customers solve world hunger–unless our company develops these solutions. We want to be consultative and solutions focused in understanding our customers problems, requirements, and goals—but only as they pertain to solutions we provide. Otherwise, we are wasting their time and our time. Customers want to know what we can do for them very quickly. They want to hear, “We help people who want to achieve this. We do it by providing software tools that enable your people to do this.” If we have done our homework, hopefully we have an inkling that they are worried about these issues before we even call them. Have they responded to our marketing campaigns? Have we seen news about their company that indicate they may have a need or requirement? Are all the companies in their industry having the same problems? Let’s give our customers credit. They know we are sales people, they know that we will be trying to present our products and services, possibly persuading them to buy. These days, they probably won’t be interested in meeting with us unless they had some potential, possibly very remote interest in what we are selling–that still doesn’t make them a qualified customer, but it does make them a possible prospect. We want to determine if they have problems we can solve. They want to determine if we have the potential of solving their problem, if they are interested in talking to us further. A customer isn’t looking for a consultant—unless they really are. They are looking for people to help them solve problems. They are looking to address new opportunities. They want to talk to people that can solve their problems. They may not know they have a problem, then they may not want to talk to anyone–getting their interest in this case is another blog. We’re sales people, we provide solutions to help our customers do certain things. We want to find customers who want to do that. Let’s give our customers the respect to be direct with them and hope they are direct with us. Seems so much simpler. Very true. Saying we are consultants is only good for one thing, getting customers listen to what we SELL. We are salesmen and we shouldn’t fool ourselves that we are something else (although it can be good to tell customers, don’t forget it yourself). Thanks for the reminder my friend. You’re right Daniel, we say we are consultants, relationship managers, or something else to get customers to listen to us—because we have wasted their time pitching products and not listening to customers. Customers have no problem with sales people, if we use their time well, regardless what we call ourselves. David’s valid point notwithstanding, a lot depends upon how you position yourself. My definition of selling is to help the prospect make an informed buying decision. Sometimes that decision was to NOT buy what I was selling at the time. While this approach annoyed my sales manager, I got some extremely large opportunities from these prospects the second time around. 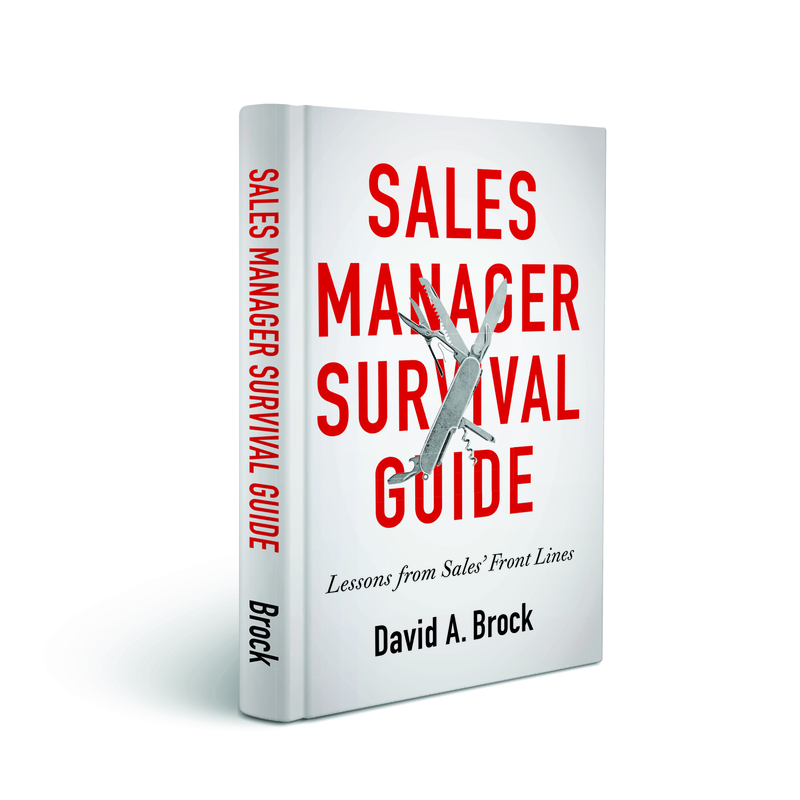 I had positioned myself as a trusted resource as well as a salesperson. I also slept better at night knowing that I was doing the right thing. Brian: Thanks for your comment, I may not have expressed myself adequately. There is a difference in selling consultatively and being a consultant. Selling consultatively means doing the right thing for the customer and your long term business relationships, which sometimes means not buying what you are selling (which does confuse me, if it is the wrong thing, why would it be recommended, I’m not sure I would ever want to put the customer in that position, or myself). Oddly, though, many sales people seem to be positioning themselves as consultants, which is very different. Thanks for helping me clarify things. I didn’t experss myself as clearly as I might have. Your blog post makes me nostalgic. I remember the days early in my career when I worked for a small software company and the world could easily be divided into those that needed my product and those that didn’t. My job was, as you describe it, “to present our products and services, possibly persuading them to buy”. That may still be the case for some salespeople, however many of us work for organizations whose offerings and range of partners have grown in scope and complexity to the point where such bifurcation is impossibly simplistic, think IBM, HP, Cisco, Oracle, etc. Using consultative skills to determine the specific priorities and requirements of our prospects prior proposing “solutions” is a prerequisite for success. As are the ability to manage a diverse cast of specialists into both the discovery process and the solution, and the financial skills necessary to model a compelling business case. It is no wonder that these multi-faceted professionals often view the term salesperson as pejorative. There is a difference between selling consulting and consultative selling and we are all well served in remembering that, however in much of the world the feature, function, benefit presentation approach is way past its sell by date. Dave, great comment, great way of clarifying difference between selling consultatively and consulting. Thanks for joining the discussion. Good points all. I guess some of us are victims of years of spot training and title swapping. I can’t tell you how many times my employers changed my title trying to increase my credibility. I’ve got enough old business cards to panel my office. If only they were edible, I think I could solve world hunger! We will surely find more success when we stop dancing and clearly state what problem we are equipped to solve. I am also excited to hear your future thoughts on getting a customer’s interest when they don’t know they have a problem. 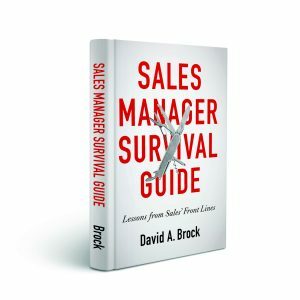 David – Several years ago I wrote a similar article about Losing the “Business Development Title if you want to increase sales.” My sense is that people confuse the what with how when they must answer this question “What do you do?” The how for your client is selling, the what may range from reducing wasted time to providing piece of mind. Great points Leanne, I think you are absolutely right with the issue on what versus how. What the customer cares about is the how, they don’t care about the what. I really appreciate your continued contributions and comments. They really increase the quality of the blog! A very basic tenet of NO BULL SELLING is to know what you do and be strong enough to say it directly and proudly. I am a salesman. I make money when you buy something from me. If no one buys anything from me, I don’t make any money and that is a very bad thing indeed. My job is to find out what I have that you might need, or want. If I do that correctly, you will probably want to buy what I’m selling and I’ll help you do that. If you don’t want to buy what I’m selling, I’ll go on and find someone else who does. I’m called a professional salesman. I am NOT consultant, who are paid fees whether or not they solve your problem. I think there is a serious distinction in the role we portray depending on the industry we sell to. 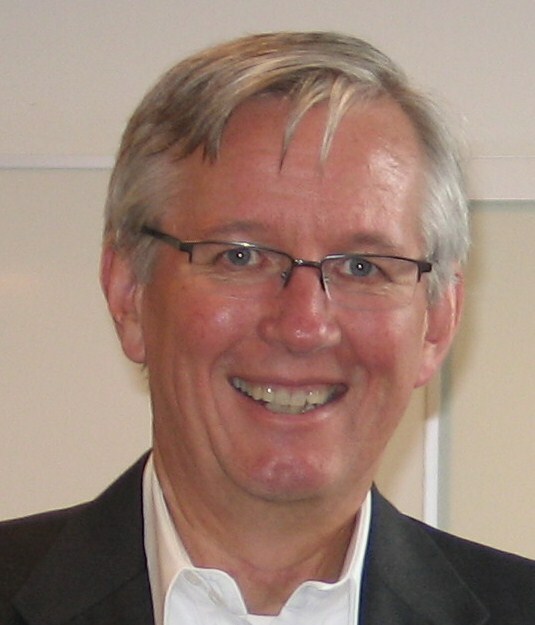 For instance, selling to the retail business while sporting a name tag saying “John Smith – Channel Developer” must be a challenge, undoubtedly but there are fields -such as Finance and Telecom- where selling solutions requires actual Business Development work being done in lieu of the client -a tough balancing act when having to preserve egos and not stray from the existing development plans, to be sure- before you know and can consult on how the proposed solution will be beneficial. In those environments they expect consulting value with the sales pitch and calling ourselves “Sales Manager” and trying the ol’ tired ABC will only alienate clients. Duena, you make some great points, also point out my lack of clarity in the blog post. Top sales professionals sell consultatively. You’ve described some interesting cases of the need for consultative selling. Unfortunately, many sales people confuse selling consultatively with consulting–here they step into an arena where they may not be qualified, they cannot deliver what the customer expects and they become unfocused. We need to focus on finding customers with problems we can solve and engage them consultatively. Thanks for helping me clarify my poor writing.